NEXT | Do you want to see the Allied Races unlocked early? A short list of hotfixes was released over the weekend, addressing a few issues in Antorus, and a couple of class bugs as well. 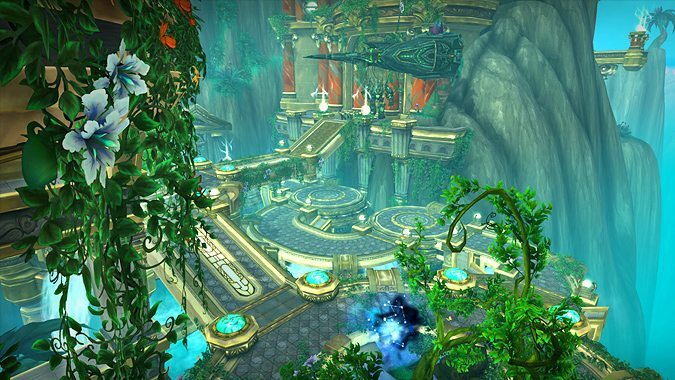 Players headed to Antorus in Raid Finder will find that Eonar is now counting towards the Forbidden Descent achievement as intended. In addition, she should now always deal damage to the Paraxis when she completes a cast of Life Force. But it’s not all Antorus issues here — Druids and Rogues both have also had some problems taken care of. For Druids, Germination should now correctly activate Eonar’s Verdant Embrace. And Assassination Rogues have had two problems fixed — first, an issue causing Poisoned Knife to apply poisons twice has been addressed. Second, an issue causing Deadly Poison to retain Nightstalker’s damage bonus until the poison fell off the target has been corrected. Read on for the full — if brief — list of hotfixes below. Eonar’s Verdant Embrance (from Eonar’s Compassion) is now correctly activated by Germination. Fixed an issue where Deadly Poison could retain Nightstalker’s damage bonus until Deadly Poison fell off the target.